Design partners Nikki Blustin and Oliver Heath of Blustin Heath Design have created a tranquil environmentally conscious design for the Woodland Sanctuary Bathroom. This luxury oasis lets you leave your troubles at the door and indulge your senses. I love the reed encased resin wall panels that envelop the whole space to create the back drop to this serene environment. It adds that adds that extra bit of decadence. The ceiling has perimeter hidden fluorescent lighting that washes the walls and emulates a calming sensation of water that is repeated beneath the bath tub. 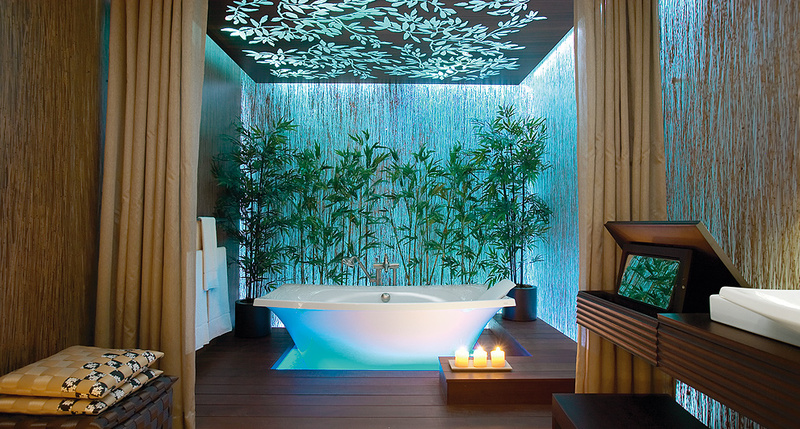 Above the bath tub a dark wood canopy has leaf shaped holes to let the light through imitating the planting beyond. The wood floor gives a warmth to the room which is also is present in the wenge wood KOHLER Escale™ Suite. 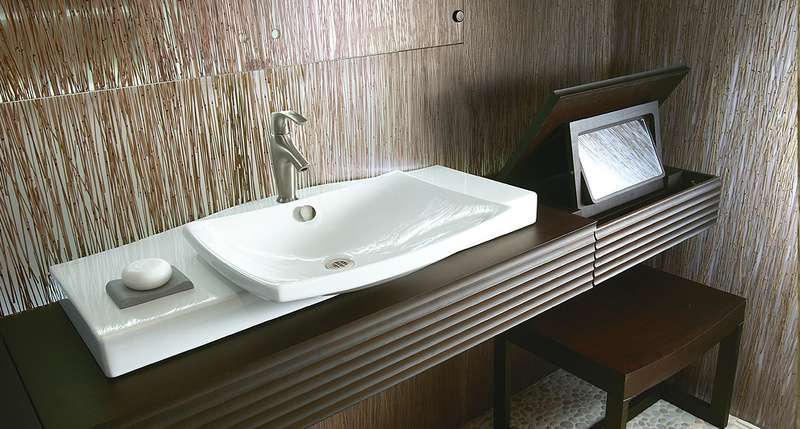 KOHLER Escale bath, toilet and lavatory have soft flowing contours that add to the spa like feel of the room. Categories: Bathrooms | Tags: Bathroom, Bathtub, Kohler, KOHLER Escale™ Suite | Permalink.